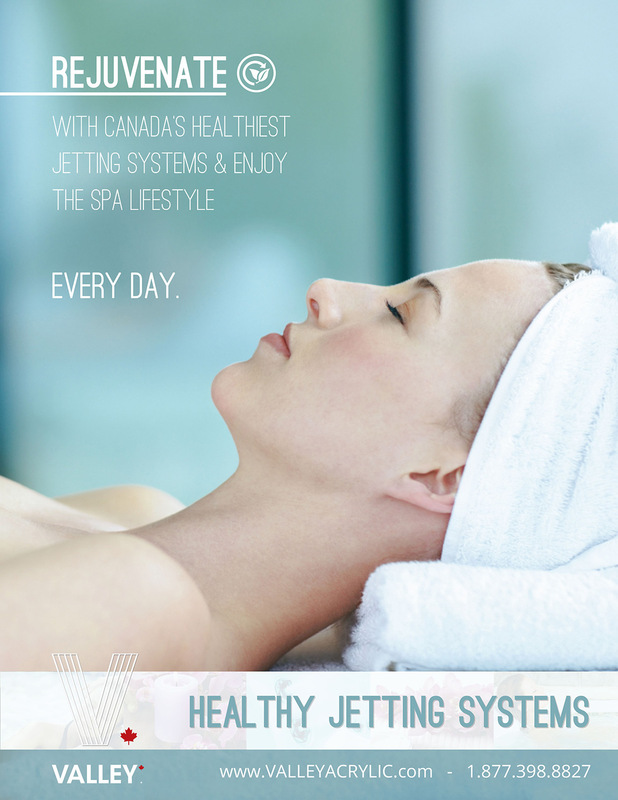 Rejuvenate With Canada’s Healthiest Jetting Systems & Enjoy The Spa Lifestyle. Every Day. After the age of 30, skin cell production decreases noticeably. With 70% more oxygen than regular tap water, Fountain of Youth will increase your body’s cell regeneration; making your skin feel radiant, glowing, and plumped through the natural stimulation of collagen production. This revolutionary treatment will clear the skin by exfoliating, and removing any impurities within the skin pores. It will lighten super facial skin imperfections, and any pigmentation spots, while it naturally blends your skin tones. The Valley Fountain of Youth System cleanses, hydrates, revitalizes, and tightens the skin. You will see an immediate reduction of the fine lines, & wrinkles along with an improved, and moisturized skin elasticity; resulting in truly rejuvenated, & radiant skin. Achieve a consistent warmth & improve circulation through the “Sauna Effect” created by tiny suspended oxygen bubbles which collapse in the bath water. This keeps heat around the body, rather than floating to the surface; reducing the expenditure of heat into the air. Contained heat provides consistent warmth across the whole body, enhancing the sauna effect; more effectively drawing moisture, improving circulation, opening pores to release toxins, and increasing the overall cardiovascular activity in your body without the use of soap or cleaning agents. Fountain of Youth’s oxygen bubbles are only 10 microns in diameter, allowing them to fully penetrate into skin pores; exfoliating impurities and removing fatty acids and odour causing bacteria. Dissolved oxygen bubbles are absorbed into the skin, triggering a therapeutic production of Anion in the body at over 80,000 ions/c.c., raising serotonin levels in your body; leading you to a feeling of well-being, calm and a deeper, more fulfilling sleep. Fountain of Youth is the process of capturing Oxygen from the air; propelling a mixture of air & water into a special, patented fitting which silently breaks down each air bubble into a dense white cloud of microscopic Oxygen bubble groupings in the bath water. You will be immersed in an effervescent cloud of millions of Oxygen bubbles that will make you feel better, and look younger by moisturizing & hydrating simultaneously. Experience soft, fresh, rejuvenated skin in only 20 minutes and see why Valley Jetting Systems are the standard in Luxury bath designs. Lay back and relax with the newest line of Canadian-made pain and stress relieving bath jets from Valley Acrylic. The Valley Masseuse is the new standard in deep relaxation massages. In just 10 minutes the system can help to relieve muscle tension, as well as daily physical and mental stresses and associated ailments such as headaches or migraines with gentle pulses, vibration & unique massage programs.Valley Masseuse operates independently from your bath systems and can be installed above water level to suit your unique building needs. Strategic jet placement is available to provide a soothing neck massage, or to stimulate foot, or whole body circulation; increasing blood flow for people who suffer from poor circulation, diabetes, and even many sleeping conditions. Feel relaxing pulses that delicately loosen tight muscles. Variable speed & power settings to increase circulation, and release endorphins in the brain, leading to relief of pains and aches across the body. Vary your bathing experience with 3 unique sequences, including our Shiatsu massage program. High power jets add soft water pulses to relaxing vibrations to create a wide range of massage styles. Jets can be sequenced by zone to personalize your Valley jetting experience to your unique needs!